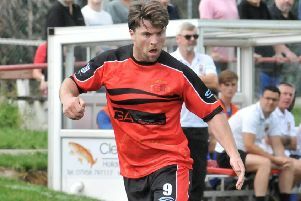 Lancaster City Football Club great Neil Marshall has passed away aged just 31. The father of two retired at the end of last season to spend time with his family as he battled cancer. The long-serving defender and captain, a plumber by trade, played for his hometown club for more than 10 years making 400 plus appearances, and tributes have been flooding in from current and former team mates and fans alike. Marshall, who passed away on Wednesday, is survived by wife Kim and children Max and Daisy. Marshall battled the illness on and off for around five years but was told late last year that he could not have any more surgery on his groin.